MINI MASTERPIECES — CALL FOR WORK! 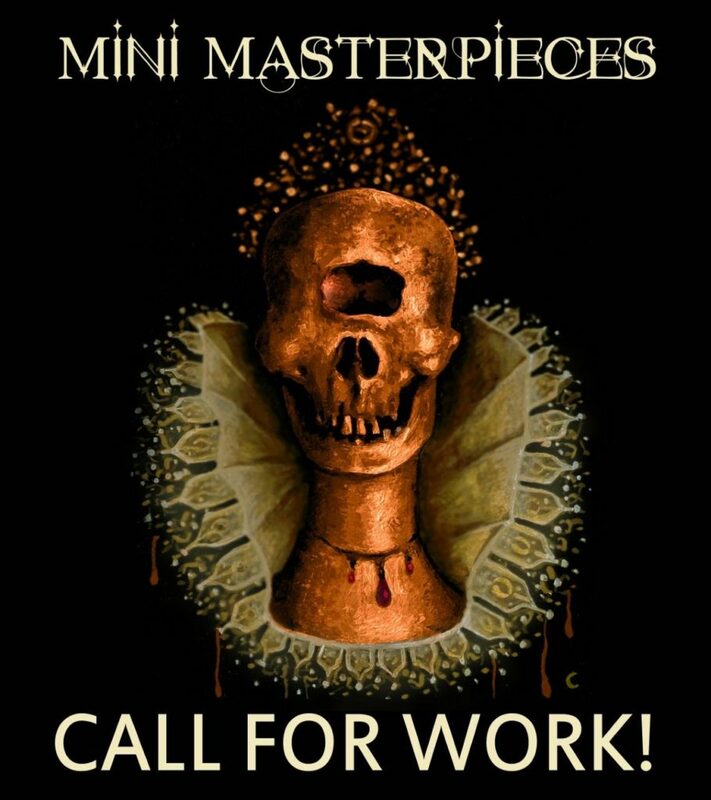 Revolution Gallery invites you to submit to MINI MASTERPIECES – a group exhibit of all 5″ x 5″ works! The theme is open to each artist’s interpretation. Revolution Gallery exhibits pop surrealism and focuses on figurative work. Submissions should be within this criteria. Mini Masterpieces Show will open on January 4th, and the exhibit will run through February 9th, 2019. The gallery will review submissions via email only. Artists may submit up to (4) 5″ x 5″ pieces for consideration. Each piece submitted must function as a stand alone work and not be part of a diptych or triptych. Artwork should not be framed. Artwork should not have hanging hardware attached to the back. Retail price of each piece submitted must NOT exceed $300. Please send one jpeg image for each piece submitted. Files should be 1000 pixels x 1000 pixels at 72 dpi and max file size to not exceed 2MB. Each piece submitted must follow these specifications. Please photograph artwork on a white or black background. Include your legal name, mailing address, your Paypal address, and phone number. Artists will be notified with either an acceptance or non-acceptance of each submission. Please DO NOT send artwork unless an acceptance email has been sent from the gallery. If work is accepted into the show, the artist will be responsible for shipping artwork to the gallery. Please write your name and the title of your piece on the back side of artwork. Commission on sales is a 50/50% split between the gallery and artist. Unsold artwork will be returned at the gallery’s expense. Revolution Gallery reserves the right to keep work on display for a minimum of 3 months following the show. The gallery may offer a 10% discount off the retail price, which artist and gallery split evenly. Payments will be made via PayPal. You must have a PayPal account to submit your work to this show. Payments will be issued within 30 days of the end of the show. Please contact the gallery with questions or concerns not addressed above. Feel free to recommend other artists and share the call for work! THE CONTENT OF THIS PAGE MUST BE COPIED AND PASTED TO THE BOTTOM OF YOUR SUBMISSION EMAIL. SUBMISSION INDICATES AGREEMENT WITH ALL TERMS OUTLINED. Any email submission that does not have this necessary content will not be considered for exhibit for Mini Masterpieces.